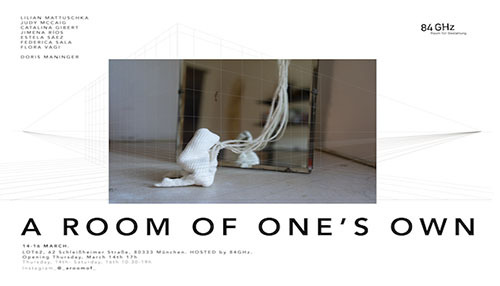 Exhibiting eight women who represent a specific generation come together to start an honest and open-minded dialogue. A generation that has faced a revolutionary technological and social change of the century, which radically altered the methods of interpersonal communication. We invite you to join our discussion and at the same time experience the intimacy of a room where one can observe, listen and discover. An intimate space where one learns to accept each other´s differences. An environment where not only can we share our knowledge but also providing us with a place which inspires us to create something new. A safe space in which everyone’s strength adds up to getting closer to what really matters. 14-16 March 2019. Schleißheimer Straße, 80333 München. Hosted by 84GHz.